Polish Pauper's pick. So glad she picked this. I had forgotten I owned this polish. It was from the 2010 Wonderland Collection. Thanks to Kaz at Pretty Random for getting this for me. I asked her to get me one for StBFF too. StBFF was so excited when she got it that she swatched it on a styrofoam plate. Which it ate through. Lol. It's B3F but it sure does smell toxic. Now onto the polish. 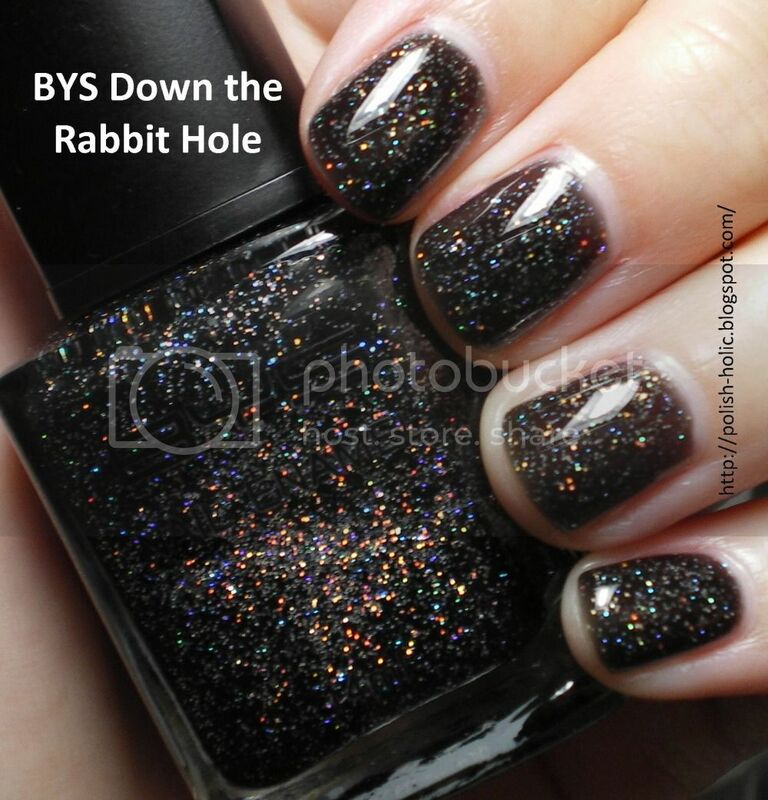 Down the Rabbit Hole is a smokey black jelly with silver holographic glitter. Because it's a jelly it never hits full on black black. But it has good depth and shows off the glitter well. I really like it. It's a nice soft black which I think works better with my skin. For those who really want that sparkly black look, I would suggest a coat of black to start with. Three coats with topcoat. The glitter isn't chunky at all. And the polish is very shiny and smooth on its own. After the first coat, I was thinking, this is not getting anywhere near the bottle colour. But at three coats, it looked pretty good. 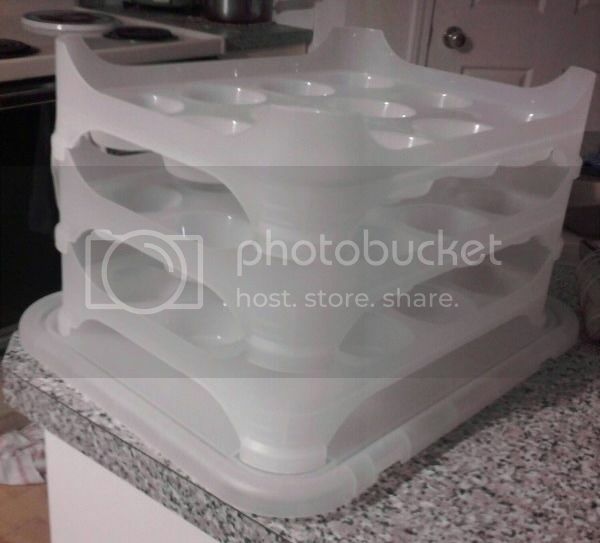 Wicked awesome glorious baking equipment of the moment: My friend, Andrea, just completely out of the blue gave me this huge professional cupcake carrier that holds 36 cupckes. I was so surprised and happy I actually started crying at their house. It was a bit embarrassing. But look at this glorious thing!!! I have such plans for you, my precious. Gorgeous! I have this too from an Australian swap pal but its still untried. Omg, I love that polish and need the cupcake holder, lol. That is awesome polish! What a great friend to give you something that cool! that cupcake holder is all sorts of ridiculous awesomeness. Great blog you have! 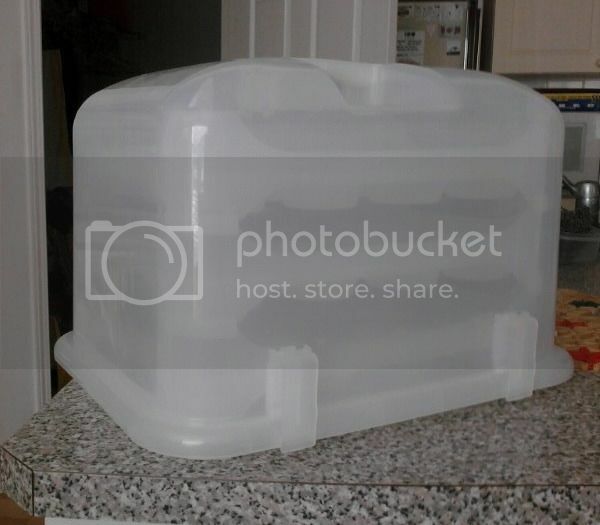 Take a look at mine, because besides fashionable news i have an amazing Give-Away. I’m giving away 10 sets of 6 trendy, limited edition nail polish colours! ugh, this is so stink cute! Im a sucker for glitter! If you like my video,I would love for you to share it & check out my channel !!! Pff. I love your face and knew you wanted one.